Describe the general relationship of the protocol factor, TR, to image acquisition time. 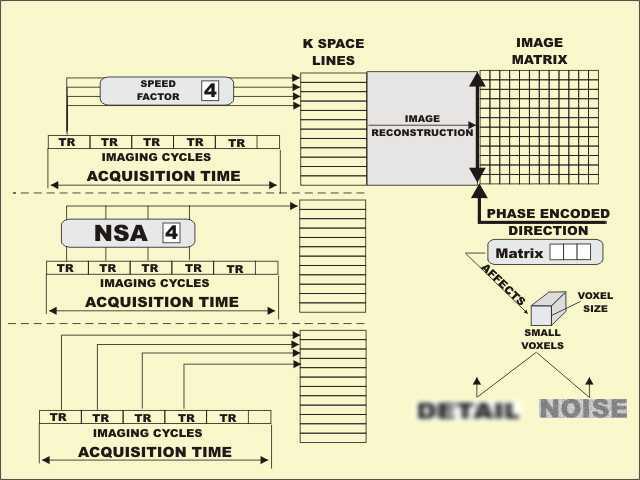 Discuss the significance of image matrix size to image acquisition time. Compare the frequency-encoded and the phase-encoded directions of a matrix with respect to image acquisition time. Describe the effect of reducing matrix size in the phase-encoded direction on both image quality and acquisition time. Explain what benefits can be achieved by using a rectangular field of view. Compare the benefit and the disadvantage of using the half acquisition method. Compare the benefit and the disadvantage of using the signal averaging in an MR image acquisition.. Describe the relationship between the protocol factor, NSA (Number of Signal Averages), and image acquisition time. Describe the general characteristics of an optimized acquisition protocol for MR imaging. Describe how voxel size is related to image acquisition time. Describe how changing voxel size affects the two imaging goals of high image detail and signal-to-noise. Describe the general order in which image characteristics should be considered in developing an optimized protocol. Explain why it is not usually desirable to setup an imaging protocol that will always produce the highest possible image detail. Explain the relationship between image detail and image acquisition time. 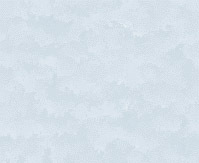 Describe how the number of rows of k space that must be filled is related to image acquisition time. .Identify and briefly describe imaging methods that can fill more than one row of k space in one imaging cycle. Briefly explain how the fast or turbo spin echo method acquires images in less time than conventional spin echo. Explain the concept of "effective TE" as used with fast or turbo spin echo imaging. Describe what events happen during on imaging cycle with fast or turbo imaging that determines the value of the speed factor.